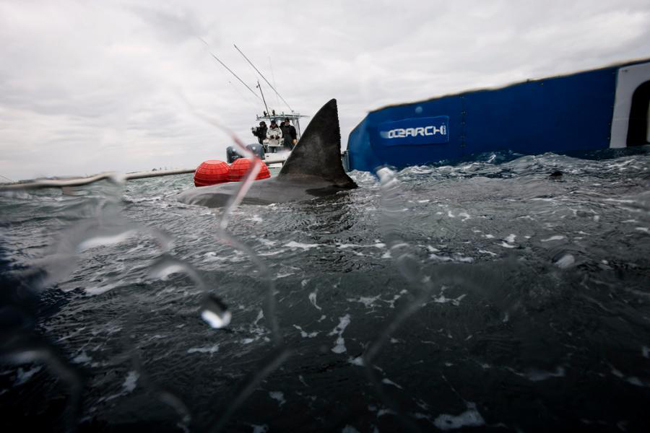 OCEARCH describes itself as a “non-profit organisation with a global reach for unprecedented research on great white sharks and other large apex predators.” The idea behind OCEARCH is to bring together the collective knowledge of numerous researchers, scientists and fisherman. By working with a large number of individuals OCEARCH aims to compile the collective data obtained by them into one big open source format, accessible to all. By doing this the hope is that research into large apex predators can progress and our knowledge of these species will improve. One of the major (and coolest) aspects of the OCEARCH collaboration is their shark tracker programme, in which tracking tags are fitted to various sharks in the ocean. This brings me to Lydia. 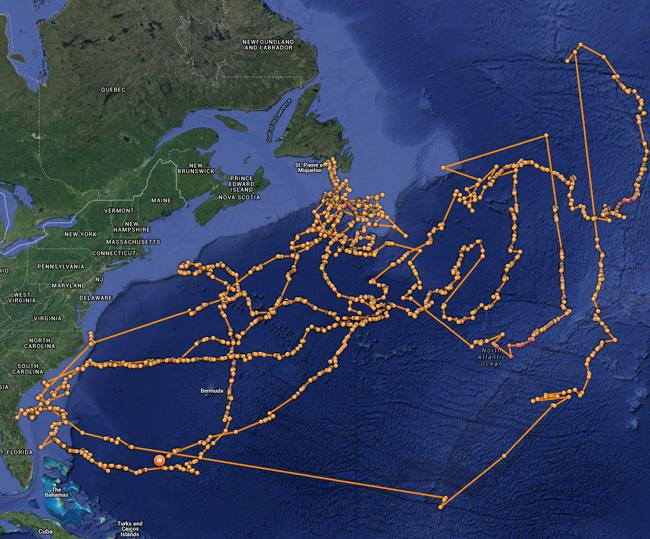 A star of the shark tracking programme, she was tagged near Jacksonville, Florida on March 3rd, 2013 and she’s swam some 34,238 miles since. 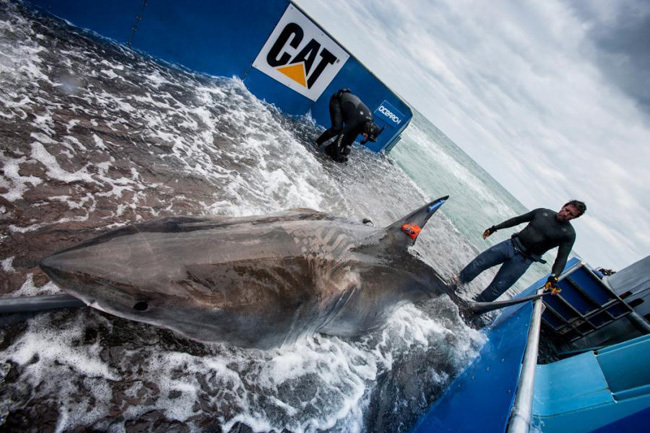 Her arrival in the UK in 2014 made her the first every great white recorded to have crossed the Atlantic Ocean. Clearly not liking the look of things on this side of pond, Lydia is now making waves in the Bahamas, in a part of the ocean just north of the islands. As can be seen from her tracking path. The OCEARCH website is full of more information on what goes on in their organisation, so why not check it out, and have a go at tracking some sharks yourself. Hey Abaco friends! Keep an eye out for Lydia.